The Duggers—Creepy Cult or Average Americans? Here’s the thing. My title is a tad misleading. The answer to the question is more complicated than choosing descriptive adjectives to illicit an immediate, heated response (from either side). When I first started this exploration, I would have chosen the first choice without question. Since going down the rabbit hole that is the Dugger family, I can’t choose either. 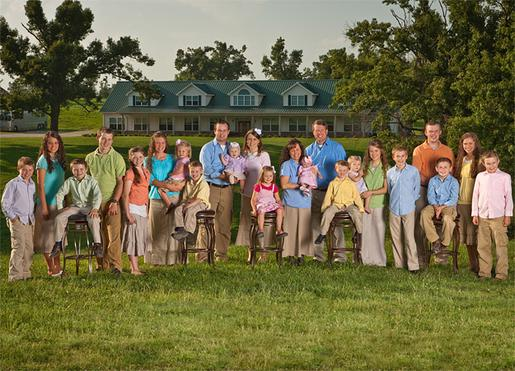 Because, let’s face it, with 19 kids running around (and more on the horizon, if the past is any indication) their Arkansas home, a TV crew following their every move, and their faith, the Duggers cannot be classified as an “average” American family. As I said before, I was ready to lambast the family and smear everything they hold dear because their life sounded absolutely ludicrous to me as the product of a secular, two-child, single parent home in, admittedly liberal, south Florida. I have become the picture of the “average” American, but does that make my experience any better than anyone else’s? When I first started watching TLC’s Duggers, they were still “17 Kids and Counting” and I was young and disgusted by the sheer physics of it all (i.e. Michelle giving birth naturally to all those little ones). Six years later I can admit I was scared of the Duggers’ faith because I didn’t understand it. And that’s really the crux of it. People either love the Duggers because they represent a strong family unit, living their lives by a book written thousands of years ago, containing the words of a man written by other men most Christians interpret and live by today or hate the Duggers because they represent everything that is most coveted (by most) in the United States today: a debt-free, loving, full family. I mean, sure, I long to live debt-free (stupid student loans) and I hope for my own loving family in the future, but I think the hang-up for most people who watch the show or know the family because of their extraordinary circumstances (the whole 19 kids thing) is their faith. Six years ago, and even two years ago, I would have wanted to “show them the light” and turn them away from this mythical God they believe in. Interestingly, I have great friends who identify themselves as Orthodox Jews and would have little problem with this graphic. As a society, we shy away from anything we ourselves don’t understand and the Duggers appear to be just another case of our inability to understand. By all accounts, the Duggers are a wonderful family who love one another and support themselves through patriarch Jim Bob’s job, and the family’s involvement in the show. I do take some umbrage with how the children, specifically the girls, are raised. The children are home-schooled and the older children help take care of the younger ones. The older girls show complete deference to their parents, specifically Jim Bob, when it comes to future suitors with Jill (one of the eldest) saying, “Talk to my dad. He knows what we’re looking for in a guy and future spouse”. The feminist in me, raised by a fiercely independent mother, rears and roars to go save these girls, close to my own young age, who are willing to date anyone their father accepts. Taking a step back, and a deep breath, I realize this notion is not unlike other utterances by women in our society, “I can’t bring a black man home,” “I can’t marry anyone outside of my faith because it’s too important to my parents,” “I can’t come out, I’ll be kicked out.” We are all forced to make decisions about our lives with our parents and community in the back of our heads guiding our way. There are those who go against the grain whose family happily accepts them but there are more stories of children being thrown out of their families for the love they choose or the choices they make that doesn’t align with their community. 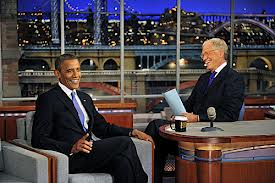 When President Barack Obama was on David Letterman one night earlier this fall, Letterman notes how grown up President Obama’s daughters look and adds, “Does it kill you?” only to have the President quip, “It worries me, but they’re surrounded by men with guns” (“The Late Show”). While it may be seen as sweet and that a father is protecting his daughters, the subtext is that anyone who tries for his daughters will be summarily handled, by men with guns. Do we have a problem with this though? Couldn’t we say this is the patriarch of the family unit of Michelle, Sasha and Malia choosing his daughters potential suitors? Now, though I am bothered by Michelle’s comments about women and their place and Jill’s response about suitors, the family seems to be a working unit that gets along fine without what I hold dear: independence. I cannot say I would ever willingly belong to a family like this but then, the kids don’t really have a choice. I think it is a tad harsh to call the Duggers a cult, but everyone is entitled to their opinion. What makes what I think more correct than what others think? Does authority of the author even have a place in this discussion? Years after I started watching “17 Kids and Counting,” we now have “19 Kids and Counting” and honestly, I don’t understand the backlash anymore. If you don’t agree with the family and the decisions they’ve made all power to you, but what can you do? Michelle and Jim Bob realize that people make snap judgments about them and how they raise their family and they accept the love along with the hate. Never once has the family tried to indoctrinate the viewers of their show. 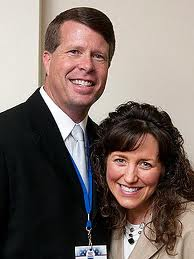 The Duggers simply try their hardest to live their lives by the word of God and they seem to be doing fine. I don’t live my life by God and here I am, doing fine. Life is all about personal choice. In my last post I talked about American Gypsy’s and their representation by TLC. Here I wanted to talk about how the public represents the Duggers because TLC actually did something right. Because they actually respect the family, their representation is unbiased and plain. While I could spend time castigating TLC for, inadvertently, showing favoritism, instead I’ll just note how uneven the response to the Duggers is. Whether the family is highlighted on “Anderson Live,” “Today,” or “TLC,” the response from viewers is divided, further proof that we are a country strengthened by our diverse beliefs. Morrisey, Tracey Egan. “The Duggers Aren’t Just a Family, They’re a Cult.” Jezebel. 4 Sep. 2012. Web. 5 Nov. 2012. The greater issue is comparing the Dugger daughter’s referring suitors to her father who knows what they are looking for in a spouse with Obama’s comment about Secret Service agents that surround his daughters. The Dugger daughter is likely dead serious whereas I strongly suspect Obama was making an offhand comment meant as humor. It’s apples and oranges. To answer the question are the Dugger’s average Americans – I think not from the simple perspective that the average number of children in a family is under 2.0 (except in Utah where the number is 2.2). That puts the Dugger’s well outside the average and to one end of the bell shape curve. There is a reason why TLC opts for the Dugger’s and not My Three Sons or Leave It To Beaver reruns. TLC promote’s that which is on the fringes of the bell-shaped curve – it sells and that is what the channel is in the business to do. I think you were probably discomforted because I was as I was, and still am, writing it. It is really difficult for me to face that these people on the fringes of society (or even those who represent a large percentage of it–obviously not the Duggers) are allowed to have their own beliefs and morals to live by that reflect such an odd prescription to the bible. Thanks for calling me out on that comparison–I completely agree and see your point. The reason I used President Obama as an example was because it was so readily accesible and there are those that could argue the similarity. Personally, I don’t believe Pres. Obama would actually use the secret service as a threat against Malia and Sasha’s future suitors, but it’s not outside of the realm of possibility. In terms of the Duggers’ average-ness, I also completely agree. I suppose I should have more clearly stated that I don’t think they’re average, at all. What I really wanted to come across was that I don’t believe we should judge them based on their following a book billions of people ascribe their faith too, in one form or another. I can’t make a judgment claim about the Duggers’ faith, or their abundant procreation (though it is still terrifying to me), because I don’t understand it. Even if I decided to dedicate years of research to their particular brand of faith, I wouldn’t be able to understand their commitment given my lack of interest. 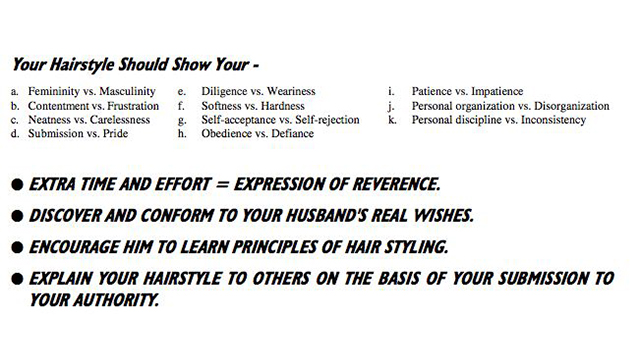 Perhaps I can start with Rachel Held Evans’ A Year of Biblical Womanhood to get a sense of what the women go through. I’ll just chime in that for me, what disturbs me about the Duggers is the close parallel they have with adherents to the Quiverfull movement (http://en.wikipedia.org/wiki/Quiverfull). I became familiar with this movement as a result of an earlier TLC program on unusually large families–I can’t remember the exact title, but it was the show that put the Duggers in the public eye. My discomfort with the Duggers does not stem from their choice to have as many children as humanly possible (which is simply bewildering), or even their choice to homeschool their children. My problem is the basis of the movement, with the idea that the primary contribution that women can make to the world is their ability to give birth to children. I think that might be what bothers you fundamentally about girl’s response on dating. While President Obama’s jokes reflect his own desire to protect his children, Jill Dugger is ceding her marriage choice to her father, who will then choose her husband, and in the context of their belief system, this means that her reproductive rights, the only value she seems to have as a human being, are not her own. I realize it sounds extreme to take this stance, and I’m sure that you could come back and say that these women have other worth, but how have they been raised, as far as the program shows, in such a way that they are equipped to do anything but raise children? As a feminist, I fully support any woman who chooses to spend her life raising children, but it should be a real choice, not something Jill Dugger ends up doing because it’s all she’s ever done or been taught to do, and because she’s been convinced by her parents that it’s the only worthwhile thing she can do. Tori, you’re absolutely right to point out that parents pressure their children in all sorts of ways that force them to alter their behavior or identity. I don’t single the Duggers out as some sort horrific monsters who are bent on brainwashing their daughters, and I don’t think they’re terrible people. They’re human beings, and subject to the same fallacies as the rest of us. The correct spelling of their last name is Duggar, not Dugger, which is my last name and NO relation to the human incubators.